Wm Jack Hranicky is a retired U.S. Government contractor, but has been involved with archaeology as a full-time passion for over 40 years. His main interest is the Paleo-Indian period; however, he has worked in all facets of American archaeology. 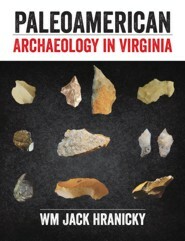 He has published over 200 papers and over 40 books in archaeology with one being a two-volume, 800-page, 10,000 artifacts book on the material culture of Virginia. In Virginia, he is considered an expert on prehistoric stone tools and rockart.